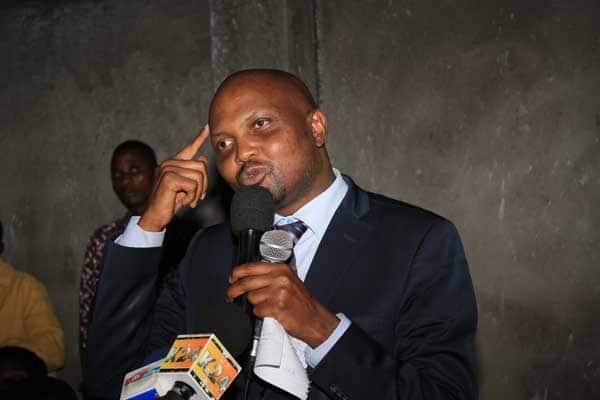 “So now Aden Duale wants to dewhip me from the two committees that I serve in. First, you are not qualified to do so. This is the work of the party through the Secretary General Raphael Tuju And Chief Whip Ben Washiali. Secondly I have no problem being removed from the Transport and Budget Committees as long as the correct procedure is followed. Bring it on ! I serve in the committees at the pleasure of the party. If the party decides that my services in the committees are no longer required, I will oblige. Third, all this persecution will come to an end one day. You have frustrated all my private bills since 2014. None of my legislative proposals have ever been brought to the House. From NGO’s Reform Bill (2014) to the Coffee Bill, the Interest Rates Bill And now the one you have sworn to defeat – Select Committee to support Matiang’i and his committee. I am aware you are not happy with my presentation to the Building Bridges Initiative but having an inclusive government and an inclusive Opposition is an Ideal I will fight for. So now my friend don’t even go to the media to remove me from committees.